Before you choose a hardwood flooring. Understand that it is not a commodity, it's a luxury. "You are spending a lot of money, spend wisely"
Choose a type of wood floor, that will cause little problem, easy to maintain, durable, most of all one that will make your home look good and add a lot of value. Start by taking a look at these Species here. They're durable, widely available, look good and they won't break the budget. You can use these with any interior design style - Contemporary, Eclectic or Traditional. There are a variety to choose from. White oak, Red oak, Maple, Birch, American Cherry, and Santos Mahogany. These are the most popular hard wood floors, found in most homes. "Sye - helped me select the right flooring for my home. The final decision was bamboo - and I love it." You want to be more unique. "Be the talk of your neighborhood"
Choose an exotic hardwood flooring like Teak, Ipe wood, Brazillian Cherry hard wood floors, Sapelle, and Merbau to name a few. Exotic hardwood floors are durable, and have a unique look. You don't have to worry about dropping things on them, and they'll still look great. They make a room stand out, your friends and family will always talk about them. You'll find a lot of suppliers that carry exotic wood flooring, there's a right one, for you. They're affordable, you can have a unique wood flooring without breaking the bank. Reclaimed wood floors is for you. You don't have to worry about any forest being destroyed, just so you can have wood flooring, for your home. There are a lot of flooring companies that specialize in reclaiming wood floors. Visit one near you and choose from their showroom. Worm holes, nail holes, knots, saw marks, hand scrapes, these wood flooring characters will give your interior design a unique look. They'll be a new focal point. Choose from Heartpine, English Chestnut, Spruce, Pumpkin Pine, and more. Recycled Flooring Visit Construction sites in and around your neighborhood. You can purchase old flooring from home owners or get them for free by volunteering to remove it for them. 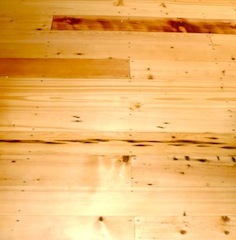 A low cost way to get an eco-friendly reclaimed flooring. 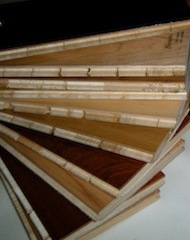 With so many selections of wood flooring,to choose from. Find the right one for your interior design idea. Now, that you have the look that you want. Learn about wood features and flooring type. Find out which ones are best for you and your home.